Ideally, when you are injured because of the negligence of another person, they owe it to you to adequately compensate you. Unfortunately, this is not usually the case. The responsible party is typically not ready to accept liability and offer fair compensation for the physical injuries and other harm suffered. This is when you need a personal injury lawyer. A skilled and experienced lawyer who knows their way around how liable parties usually try and get away with it can make all the difference. For instance, insurance companies will usually try and settle a personal injury claim with a standard amount. They don’t consider other harm caused apart from the personal injuries such as emotional distress and lost income. Sometimes, just having a lawyer speak for you is enough to get the other party to fair compensation. They would do so to avoid the cost, hassle and possible loss of reputation if they were to fight it out in court. Other times, it comes down to proving your case and having a judge rule on the amount a victim should be paid in damages. This includes cases where a victim has suffered long-term or permanently disabling injuries. This includes instances severe injuries. The amount paid out in compensation usually depends on how severe injuries are. 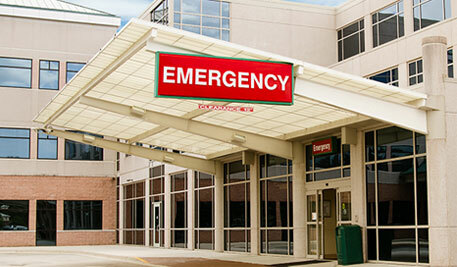 To determine this, the type of injury is considered and so is the medical bills and period of time needed to recover. The case gets even more complex when an injury has been suffered because of the negligence of a professional such as a doctor. Toxic exposure is another form of injury where one falls ill because of contaminants in food, water, soil or products. Such cases are difficult to prove and again, the expertise of a personal injury lawyer. Andrew M. Agtagma Esq. is a California personal injury attorney who has not only the expertise to handle personal injuries but also the experience and dedication. Contact Andrew M. Agtagma Esq. and he will listen to the specifics of your case and advise you accordingly. If it comes down to a legal battle, you can be sure that this California personal injury attorney will fight tooth and nail to get you the compensation you deserve not only for your physical injuries but other harm you have suffered.